THE Nigerian Army has appointed Colonel .S. Musa, as the new Director of Army Public Relations. According to a statement signed, yesterday, by Col. Aliyu Yusuf, Musa is to function in acting capacity. He replaces Brigadier-General Sani Usman who until his retirement last Friday, was the head of the Directorate of Army Public Relations. Similarly, Colonel A . 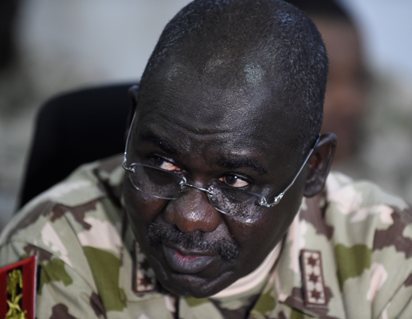 A. Yusuf was appointed Deputy Director, Public Relations, 82 Division, Nigerian Army. According to the statement, Colonel AD Isa is posted to Theatre Command, Operation Lafiya Dole and appointed Deputy Director Army Public Relations while the new Acting Corps Commander Nigerian Army Medical Corps is Colonel S Adama. “Estwhile Brigadier General HG Tafida of the Nigerian Army Central Workshop Rigachukwu posted to Army Headquarters Department of Army Logistics and appointed Director Engineering and Maintenance. “Brigadier General AA Adereti,posted to National Defence College and appointed Directing Staff while Colonel O Nwachukwu from Headquarters Theatre Command Operation Lafiya Dole has been posted to Defence Headquarters and appointed Acting Director Defence Information. .